The Brother MFC-7820N Flatbed Laser Multi-Function Center is multi-function printer that provides for printing, faxing, scanning and copying needs of small to medium scale businesses and homes. Companies, especially start-up ones that are looking to save costs and opt for a machine that is quite easy to use while still delivering on its basic multiple functions, getting the Brother MFC-7820N is a quite a suitable way to start. The MFC-7820N does not have the sleekest of designs one can find among the AIOs (all-in-ones) in the market today, but it does hold up to its billing as an effective multi-function printer. The MFC-7820N features a fast printing output, able to churn a steady 20 pages per minute on monochrome. It also yields a rather high resolution value to its print - considering the MFC-7820N is an AIO printer - with a maximum dot per inch of 2400 x 600. Another feature is its multiple interfaces: Ethernet, USB and parallel, which provide for single and/or multiple users, be it in a home or an office setting. With emulating functions for PCL6 and BR-Script, the MFC-7820N is sure to handle multiple types of graphic and font printing. 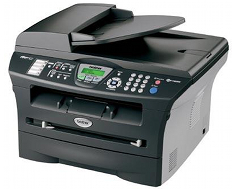 The Brother MFC-7820N boasts a high-speed fax, with its 33.6K bps connection speed. 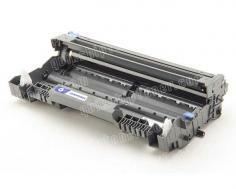 It can transmit up to speeds of 2 seconds per page, which is quite fast for a multi-function printer. Its memory is also quite capable of storing a large fax memory, with up to 600 pages. Its autodial functions are also impressive, with a 208 auto dial locations and a maximum of 258 locations for its broadcasting. Scanning and copying properties of the MFC-7820N are also respectable. The MFC-7820N has monochrome and color scanning, with a stunningly vivid 9600 dot per inch resolution for interpolated scanning and 2400x600 dots per inch for optical scanning. The MFC-7820N has a 24-bit input color scan bit depth and also boasts a "scan to" feature, for direct scans to email, image file, and OCR. Copy feature has a flatbed style and provides for a monochrome type, with a speed of 20 pages per minute. The MFC-7820N also works as a stand-alone copier with sorting function, and has reduction and enlargement capabilities of 25-400%. The automatic document feeder capacity is at 35, which is high for a multi-function machine. The MFC-7820N is also Energy Star qualified, which is a plus, considering the MFC-7820N does a lot of functions. With a price range of 190-230, the MFC-7820N is a bargain perfect for cost-saving office and home users. With dimensions of 17.0" x 15.6" x 11.6" and a weight of 20.9 lbs, the MFC-7820N comes in relatively lightweight being an AIO machine. One shortcoming for the MFC-7820N is its operating system compatibility, as it does not support a linux-based system. For a multi-purpose machine, versatility in its system compatibility is a must. Another is though it has a respectable memory and does its functions at an incredible speed, the MFC-7820N's memory does not have an option for an upgrade, significantly reducing its multiple function capabilities. 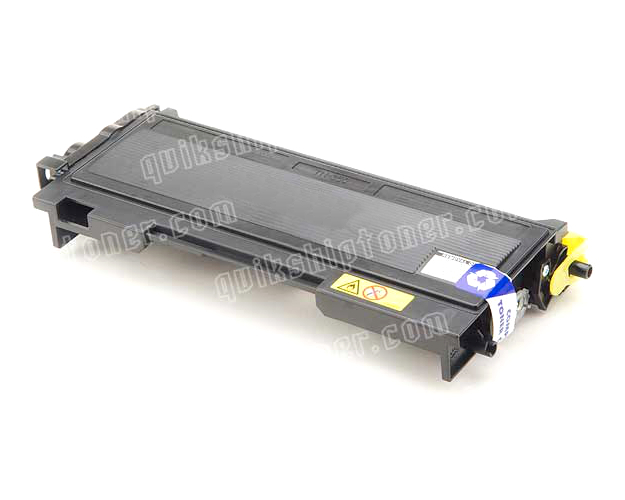 A starter toner cartridge in its package and low maximum duty cycle also need significant improvement. The MFC-7820N is also relatively noisy at 53 decibels, and has problems in terms of envelope printing. Its monochrome LCD design is also somewhat a bit of a letdown, as a lot of printers today feature an LCD color display for their menu. There is also no upgrade feature for its paper tray, so the MFC-7820N is stuck at a 250-sheet tray capacity. An improvement in this particular feature is quite significant even for a multi-function machine, as a lot of offices do opt for an increase in paper tray capacity. 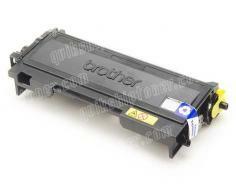 Review it: "Brother MFC-7820N "
The MFC-7820N includes a starter toner cartridge capable of 1,500 pages and a drum unit with a 12,000-page capacity. 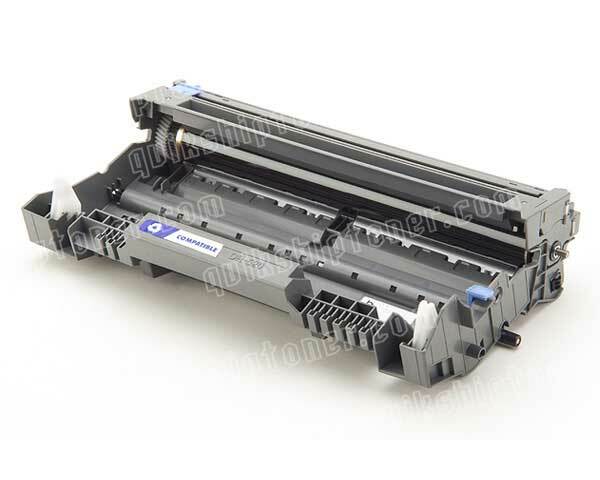 The starter toner cartridge can be upgraded to a standard yield toner cartridge for a 2,500-page maximum capacity. Monthly duty cycle is at 10,000 printed pages, with recommendations of 250-2000 pages for a monthly output volume.